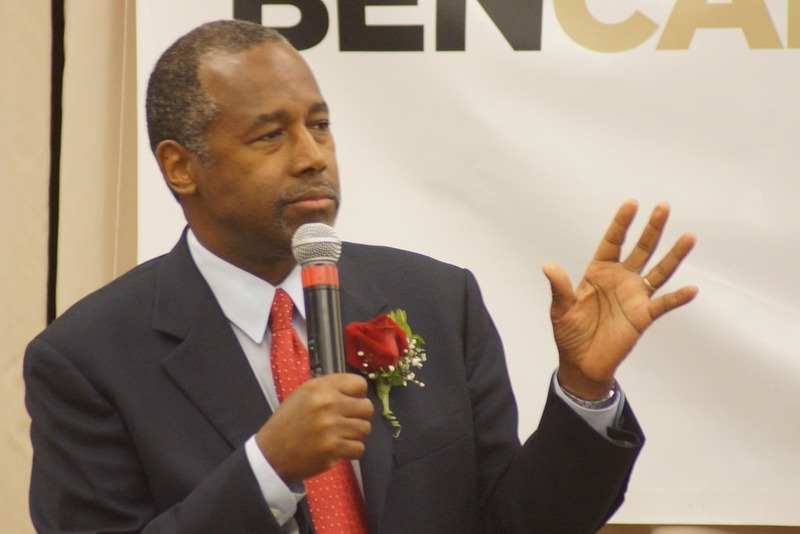 What If Ben Carson Had Declared Jews or Catholics Unfit for the Presidency? As a newcomer and outsider to the electoral process, sometimes Dr. Ben Carson doesn’t speak with clarity. In one recent interview, Carson admitted that he believed that a Muslim should not and could not become President of the United States. He then said he could contemplate Muslims as legitimate candidates for Congress. The U.S. Constitution doesn’t make that distinction. It says that there should be no religious test for candidates for public office, period. Carson tried to modify his anti-constitution position on a Muslim in the White House later on, implying that he wouldn’t vote for a Muslim for president, but that wasn’t his original contention. As an amateur politician, Carson can possibly be forgiven for having misspoken, if that is what he thinks he did, but as a potential President of the United States, words matter, especially when directed against an entire potential class of people who might consider running for public office. Those who listened to Carson’s exclusion of Muslims from the White House might have heard echoes in their heads of the bigoted critics of the election of John F. Kennedy, who, as a Catholic, they imagined taking his orders from the Holy See. It would have been easy to insert “Mormon” or “Jew” or “Buddhist” or “atheist” into Carson’s statement, replacing “Muslim,” and the interpretation of the Constitution would have been no less absolutely incorrect. It takes little to imagine that had Carson said “Catholic” or “Jew” instead of Muslim, he would have been frog-marched right out of the campaign by GOP elders, but no such thing happened with a statement about Muslims being ineligible for the presidency. In current American public opinion, it is sadly acceptable, even popular, to declare Islam as inherently anti-American. Carson suggested that a Muslim in the White House might be prone to follow sharia law or, worse, impose sharia on the entire nation. That’s comparable to suggesting that a Catholic should not be president because of the Catholic Church’s roots in the decision of the Council of Nicaea in 325 CE or the conclusions of the Vatican Council, or that a Jew is disqualified from the highest office because of the Torah and the Halakah. The reverb from Carson’s statement was loud and clear, except that he got away with it because he was excluding Muslims as legitimate presidential candidates. Think back to the bombing of the Murrah federal office building in Oklahoma City by right-wing extremist Timothy McVeigh. The knee-jerk reaction was that Muslims must have done it. Initially, that mistaken belief preoccupied the media and the public until specific information about McVeigh began to seep into the news. Why? Because Islamophobia has been a strong current in the nation for a very long time. The public jumps to the conclusion that mass violence is connected to Islam, an ingrained fear in this country, and that ends up justifying the public’s giving Carson a pass for excluding Muslims from Constitutional protection in elections. When the Council on American-Islamic Relations (CAIR) called on Carson to withdraw from the presidential campaign, it wasn’t because he was the sole Islamophobe running for office. Much of what the candidates say about Muslims is cringe-worthy at a minimum. Carson’s Islamophobia is of a different order. If Carson had simply called on voters not to vote for Muslims, as abhorrently racist as that is, it wouldn’t have been a cause to declare him disqualified as a potential president. Carson’s official position contradicts the clear meaning of the Constitution. We find it interesting that Dr. Carson seeks to use a federal government agency to silence his critics and wonder if that tactic would be used to suppress First Amendment freedoms should he become president. CAIR is not in violation of any IRS regulation in that we did not “participate in” or “intervene in” any political campaign. We, as mandated by our mission as a civil rights organization, merely expressed the opinion of our community that a candidate whose views violate Article VI of the Constitution is unfit for public office. Carson might have wanted to consider that someone might have inserted “Seventh Day Adventist” in place of Muslim and declared the Baltimore neurosurgeon ineligible for the presidency. Aaron Griffith, a doctoral student at Duke Divinity School, wrote for the Religion News Service about the history of discrimination against followers of Carson’s religion to the point where the Adventists became part of the original group of founders of Americans United for Separation of Church and State. Ever. And it is no defense of Carson to say that he was not calling for legal disqualification of Muslims, just advocating that one should not vote for them. That defense misses the point: The Constitution is not just a legal document. It is a didactic one. It doesn’t just set limits to power; it expresses a national ethos. It doesn’t just tell you what you’re not allowed to do; it also suggests what you shouldn’t want to do. CAIR’s statement was not an electoral intervention. It was a Constitutional intervention, pointing out that Carson had disqualified himself for the presidency by contradicting the clear meaning of the U.S. Constitution that there should be no religious test for the presidency or any other elected office in this nation. For those who think that CAIR violated its 501(c) tax status, consider the “facts and circumstances” of CAIR’s action. CAIR had not intervened against the coterie of Islamophobes running for office, but a candidate who had established a political test for eligibility for the presidency. CAIR’s position and statement declared Carson “unfit for public office” amidst the facts and circumstances of explaining to the American public the meaning of a key provision of the Constitution. It ought to be clear that a statement of fundamental civil rights embedded in the Constitution is categorically different than a partisan electoral intervention for or against Carson, Trump, or anyone else. Under New Hampshire law, 501c4 organizations like AFP may advocate for issues like Right-to-Work, but not for specific candidates. Because the mailers called out specific representatives prior to the New Hampshire primary, the representatives say AFP is endorsing those reps’ opponents.